At the Great Plains Food Bank, there is not a month or even a day that goes by that we are not taking action to ensure as many people as we can across North Dakota and western Minnesota have access to healthy food options. We take the harsh reality that one in nine individuals across North Dakota is unsure where their next meal is coming from very seriously. 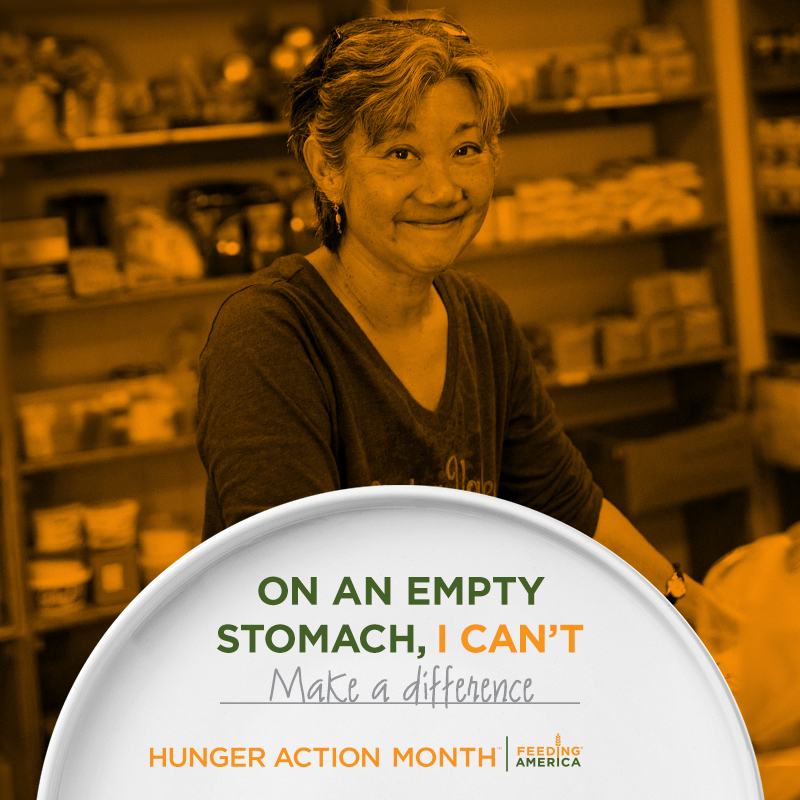 But one month of the year we attempt to lift up our efforts in the fight to end hunger even more with Hunger Action Month. And, more importantly, highlight the difference that you can make each day and that working together we can solve hunger. Saturday marks the beginning of September and once again we are joining with Feeding America to celebrate Hunger Action Month. Daily we are asking you to take a role in our fight to end hunger for the 47 million individuals across the country that struggle with not enough food to eat each day. We invite you to take some time to read through the Hunger Action Month page on our website and see all the things going on at the Great Plains Food Bank. We also feature a “30 ways in 30 days” calendar that gives you an opportunity to take an action step each day in September. While fighting hunger is a year-round battle for too many North Dakotans, we ask the topic takes on a heightened presence in your daily lives this month. And remember that each action has an impact. Take action for the 33,000 kids across the state that we have identified as being food insecure – that is 36 percent of those that we serve. Take action for the elderly senior making difficult choices between using the limited money they have to pay for medication or to pay for food. Take action for the family cautious about concealing their struggles with hunger from their neighbors, but have parents going to bed hungry each night so their children will have enough to eat. It is because of these actions each day that the Great Plains Food Bank was able to provide needed food assistance to a record more than 97,000 individuals in 2017. And it is because of your actions throughout September and the months beyond that are taking us as close as we have ever been to ending hunger.